Many people enjoy visiting national parks in the United States, and if you are one of those people, there are a few days a year where you can gain access to them at no charge. Free entrance days regularly change each year. In 2017, there were a total of 20 free entrance days, but that will be decreased to 4 in 2018. What are the National Park Fee Free Days in 2018? How Much Does a Trip to a National Park Usually Cost? 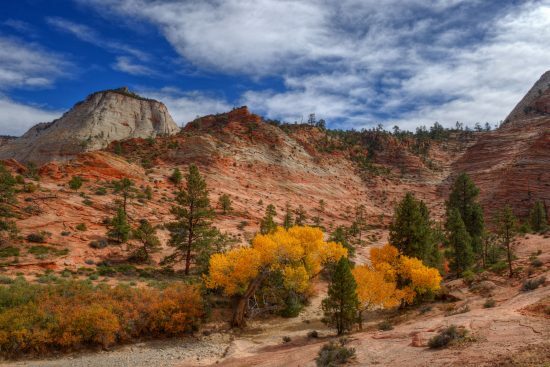 Exploring the national parks in the U.S. is one of the best possible deals out there. In fact, there are plenty of ways to save money at national parks. An annual pass to the nation’s national parks is only about $80 – they actually make great gifts if you know someone who enjoys the outdoors. The annual pass has the potential to save you hundreds (and possibly even thousands) of dollars throughout the year. Seniors (over the age of 62) can obtain a lifetime senior pass for only $10. People with disabilities and members of the military (and military families) can get annual passes free of charge. However, on the days mentioned above, entrance to the national parks is free of charge for everyone who wants to enter. Additionally, through the Every Kid in a Park program, fourth-grade students and their families can obtain free annual passes to the nation’s parks. Areas designated as national parks are some of the most famous destinations in the U.S. There are over 400 parks that make up the national parks system. National monuments, national seashores, national recreation areas and national preserves are all part of the system. The system is made up of 84 million acres with 17,000 miles of hiking trails and 5,000 miles of shoreline. Only 127 of the 400 national parks will be waiving their fees on the days mentioned above, though, but only because the other 273 areas do not have a fee throughout the year. Fee-free days do not apply to all of the national park fees. The fee waiver includes entrance fees, but fees for reservation, camping, tours, and concession will still be collected on these days. Fees collected by third parties are not included in the waiver unless stated otherwise. If you plan on doing any of these things, the visit could still potentially cost you some money. However, some tour guides offer deals on these free days, so if you plan to spend money, the free days can be a good day to find discounts on services like that. The only drawback from the free national park entrance days is that national parks are likely to be crowded on these days, so if you plan to go, be prepared to encounter crowds. However, if you do not want to deal with the crowds, national parks are affordable trips year-round with entrance fees ranging from $3 to $30. If you are looking for something fun and affordable to do with the family (or just escape on your own), visit a U.S. national park. Many people enjoy visiting national parks in the United States, and if you are one of those people, there are a few days a year where you can gain access to them at no charge. Free entrance days regularly change each year. In 2016, there were a total of 16 free entrance days, but that will be decreased to 20 in 2017. The National Park Service turned 100 years old in 2016, so it was a special year for the national parks in the U.S. so they offered more free days. What are the National Park Fee Free Days in 2017? Areas designated as national parks are some of the most famous destinations in the U.S. There are over 400 parks that make up the national parks system. National monuments, national seashores, national recreation areas and national preserves are all part of the system. The system in made up of 84 million acres with 17,000 miles of hiking trails and 5,000 miles of shoreline. Only 127 of the 400 national parks will be waiving their fees on the days mentioned above, though, but only because the other 273 areas do not have a fee throughout the year. Fee-free days do not apply to all of the national park fees. The fee waiver includes entrance fees, but fees for reservation, camping, tours and concession will still be collected on these days. Fees collected by third parties are not included in the waiver unless stated otherwise. If you plan on doing any of these things, the visit could still potentially cost you some money. However, some tour guides offer deals on these free days, so if you plan to spend money, the free days can be a good day to find discounts on services like that.